MSPs have overwhelmingly demanded there should be no “whitewash” of the dangers of mesh implants in a soon-to-be published safety report. Mesh campaigners claim evidence on the dangers of the controversial surgery have been ignored or removed from the safety review set up three years ago. 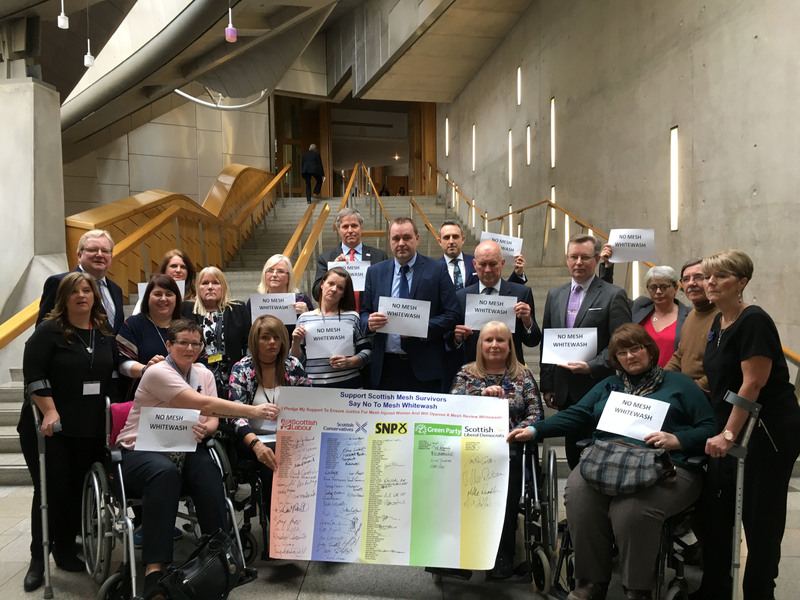 And this week, after talks between campaigners and Health Secretary Shona Robison, 97 out of 129 MSPs signed a pledge backing their call for the reinstatement of the evidence. One of the first to sign was Ms Robison’s predecessor, Alex Neil, who ordered the safety review in 2014, and suspended the use of mesh for bladder and prolapse problems. He was joined by 30 SNP colleagues. The campaigners’ demands won the total support of every opposition party, including their leaders. The final draft of the safety review, due out within weeks, has been dismissed as pro-mesh propaganda and led to the resignation of one of its key experts as well as patients representatives Elaine Holmes, 52, from Newton Mearns, and Olive McIlroy, 60, from Renfrew. Elaine and Olive, who represent more than 400 women whose lives have been ruined by the treatment, met Ms Robison this week to demand the reinstatement of all evidence and safety warnings. Elaine added: “We delivered an ultimatum. If the missing evidence was not reinstated we want nothing to do with the report. “Ms Robison told us she would take on board what we said and get back to us. Evidence from around the world on the dangers of mesh is mounting and mesh manufacturers in the US have already paid £1.5 billion in compensation. In Scotland, the NHS faces the biggest ever medical legal action on behalf of 426 women. Last night Ms Robison reassured the Scottish Mesh Survivors Group their views have been heard. She said: “I want them to remain at the centre of the crucial work.